Day 1, October 4. 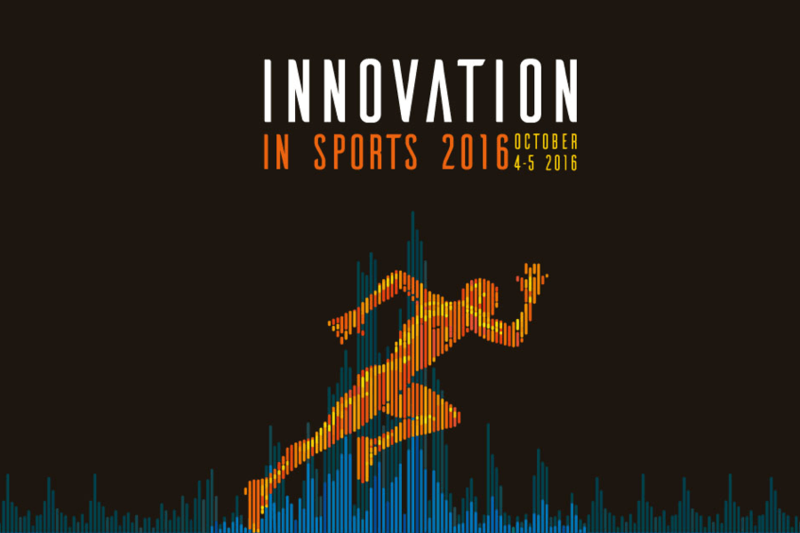 The organizing team of ‘Innovation in Sports 2016’ brought together a high variety of speakers in the area of performance analytics and fan engagement. The key words of the conference however were ‘data’ and ‘start-ups’. The day was launched by Arno Hermans, founder of Sport eXperience, an incubator for sport start-ups in Eindhoven (Netherlands), with close links to Copenhagen (Denmark). He brought a dozen of entrepreneurs to Düsseldorf, each of them showing and explaining their prototypes, business models, etc. Once kicked off, a panel discussion including Arno Hermans, Friedemann Lotz from Le Tremplin (Paris), John van de Laar from HightechXL (Netherlands) and Eamonn Sayers from Guinness Enterprise Centre (Ireland) made clear that a true sports technology ecosystem is being built in Europe. Both early stage start-ups as scale-ups got the floor, which also created interesting networking opportunities during breaks. Oppia Performance presented their scouting software, generating a unique ID for each player. The platform can be used to predict the performance of player and teams. ‘The question though is not to know whether your team is getting better, but knowing whether your team is getting better FASTER than other teams are getting better’ said Anton Brams from Oppia. Only one Belgian start-up was present: We Are The Coach, a mobile app making you the online coach of your favorite soccer team. The idea is that the crowd can propose substitutions to the ‘real’ coach during a live match. In the future, fans will also be able to rate coaches and even referees of their favorite team matches. What other innovations did we found impressive? Of course, some big names as STATS, Catapult and Wyscout were present. The amount of data these globally scaled companies have is the dream playfield of every data scientist with a passion for sports. An interesting approach was given by Matteo Campodonico (CEO Wyscout), who announced to open up certain parts of the platform to stimulate open innovation. People can start to develop and eventually market their innovative products through the Wyscout business. From a fan engagement point of view, Bas Schnater from FanEngagement.nl talked about Rio 2016. What worked and what didn’t? And even more interesting: what are the trends for the future? Another bigger player in the field of data analytics, but rather new in sports is Tableau. Oliver Linder explained some of the possibilities of the platform, which is mainly built for efficient and clear visualization of results, for example based on Opta data. The usability of Tableau within sports analytics was demonstrated by different speakers using Tableau-generated graphs in their presentations during the conference. Many start-ups were also found in the soccer (video) analysis domain, such as Footovision, Matchvision and Videobserver. What caught special attention to many people (full room) was Beyond Sports, a company right in the heart of some of the most promising technologies nowadays: VR = virtual reality. Overall, a great first day of the conference. However, compared for example with the MIT Sloan Sports Analytics Conference in Boston, a more in-depth look at the ‘what exactly’ and ‘how precisely’ behind all of the digital developments that were showed, was missed a bit. All of this brings us to the conclusion (again) that sports technology and innovation is hot. The amount of start-ups, in-company innovations, incubator and accelerator programs, etc. is drastically increasing. Nevertheless, there is still a large opportunity for more collaborative work and cross-sectorial innovation in the broad area of ‘sports’. From the side of Victoris, we are of course particularly interested in closing the gap between the technology to be used in the field and the scientific research that could be implemented or developed hand in hand with the entrepreneurial team that is behind so many interesting innovations. Day 2, October 5. The second day of the conference started with another concept that is (still) hot topic in sports and health tech: ‘quantified self’. Drew Benvie from Battenhall (UK) talked about his approach as working in a brand communication agency for the social media age. According to this award winning agency, much more opportunities are lying ahead of us when internet data are used in a smarter way! The session that we were particularly interested in was the one by Paul Power, known from Prozone (former Amisco), now taken over by STATS. Paul mentioned that 68% of Premier League managers were sacked last year, proving they must be getting something wrong. What was very interesting to see is that they created a display of how different football playing styles evolve. Taking into account when trainers come and go, you can check whether the philosophy of the team is being sustained or not. With the software, you can also separate when the team is winning or losing, or compare home and away games. Question then is: What is the best style to play for this particular game? From a more broader point of view, Paul showed that based on the data of various leagues, it can be concluded that 1/ players condition is getting better over years, 2/ number of counter attacks is decreasing in all competitions, 3/ ‘fast play’ is getting more used (because of better condition). Players can also be rated based on a variety of parameters such as 1/ how did he contribute to the system/team?, 2/ how often was he in dangerous positions?, 3/ to what extend did he had a crucial role in scoring actions?, etc. After Paul´s talk, we had an interesting chat together with Dieter Deprez from Club Brugge (a former Ghent University PhD on talent detection and identification), who is working on managing the data in function of injury prevention and performance enhancement in the first team of Brugge. We also talked about our team play analytics project, and how this relates to the work done at both Club Brugge as STATS. To end the day, we had a talk with Friendemann Lotz from Le Tremplin, a sport start-up incubator in Paris. As already mentioned in earlier communications, we are setting up a similar initiative in Ghent. The conference gave us the opportunity to connect with the good-practice example from Paris. More on that later of course, as our conversations with interested partners evolve day by day.